There's a lot of good things said about our produce so I thought I might explore some of the items we should justifiably be proud of. Cheese is a slightly contentious product, centred upon the debate about raw milk cheese - here in Australia we aren't allowed to produce cheese from raw milk and up until recently there has been bans on the importation of raw milk cheese (exceptions to this were the hard-cooked curd cheese like Parmigiano Reggiano and Grana Padano). 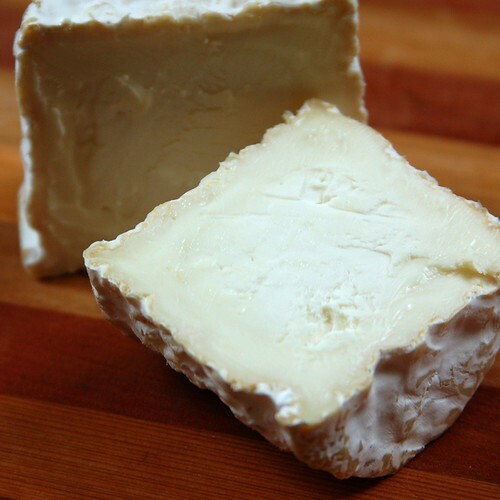 The laws have been relaxed a little and we can now get some raw milk cheese, it's still a risky venture for the importers. Lovers of Roquefort know the pain. 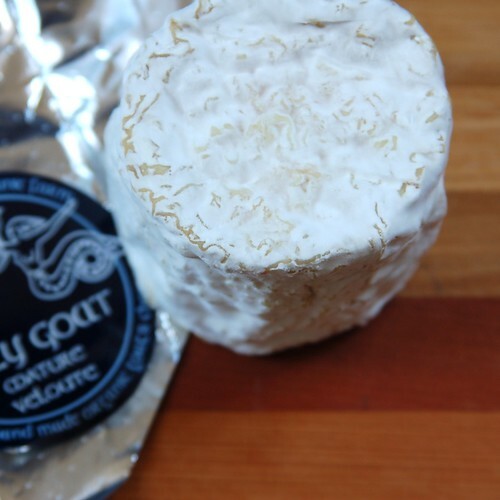 With the limitations of the production of certain cheese, we still produce some fine dairy products. 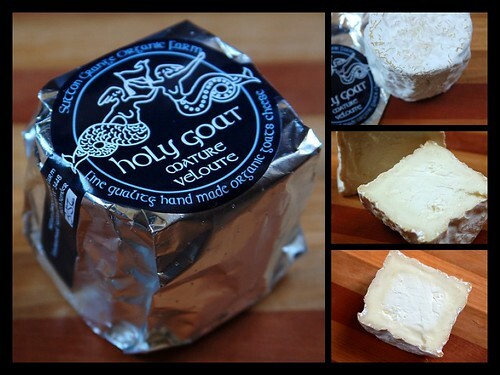 For my first cheese, I'll be showing an organic goat's cheese produced here in my home state of Victoria. 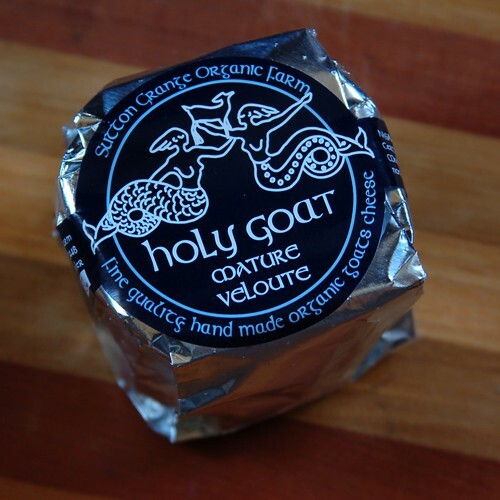 Hand made in the French-style from an Organic Certified (Level A) Goat herd. 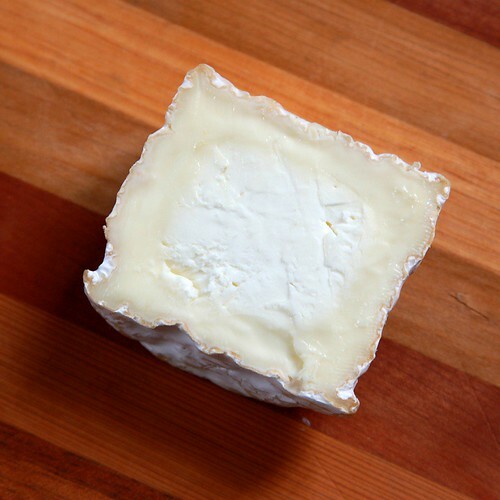 Slow lactic acid fermentation combines with hand ladling into individual forms where the cheese is allowed to drain purely under the effect of gravity. Veloute is described as a "barrel shaped cheese with a white mould surface and delicate flavour at 3 weeks which becomes more complex and nutty as it matures between 3-10 weeks"
I particularly enjoy the mushroom aroma and taste from the white mould rind (very similar to Camembert), there's a bit of that goat cheese tang at the back of the palate but it's wrapped in the creaminess of the cheese.